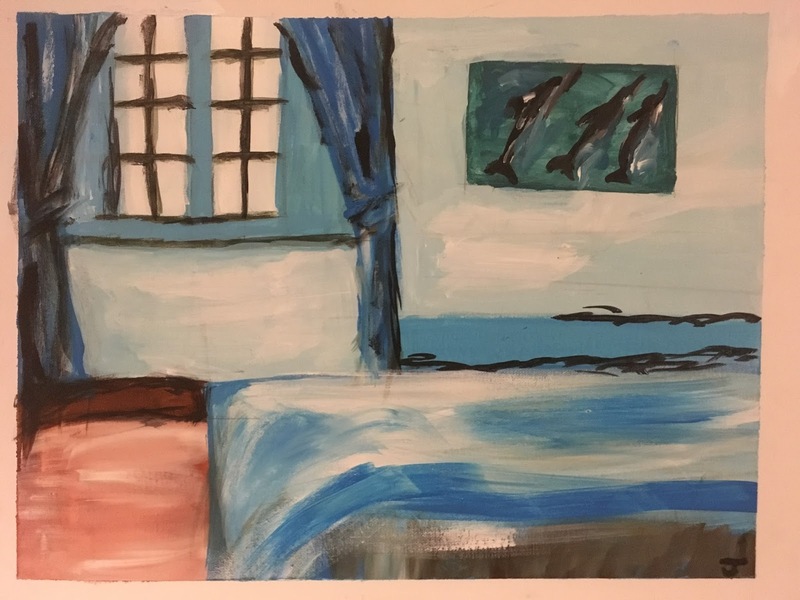 “Impressions of Home” is a body of work completed by individuals that reside at Friends of the Homeless, an overnight shelter for adult men and women. During 2016, an art program was developed for our residents to promote creativity and offer a safe harbor for visual and emotional expression. “Impressions of Home” explores a theme that is unique for every individual who deals with homelessness. It allows our residents to share their personal stories of resilience with the community. “Impressions of Home” at the Taber Gallery provides a small showing from a larger collection of work that will be up for auction at our second annual fundraiser at the Log Cabin. Alicia Shibley an HCC graduate from the class of 2013 is an intern and arts program facilitator at Friends of the Homeless in Springfield, MA. She will be giving a talk about the work she is involved with on Wed. March 22, at noon.